Lee Harvey Oswald: everyone knows he was the lone gunman responsible for the assassination of the 35th president of the United States in Dallas Texas on Friday, November 22, 1963. The day America lost President Kennedy is a tragedy forever engraved in this generations mind. Or was he? Sadly, the even greater tragedy and injury to the soul of America is the massive coverup perpetrated by the US government in undertaking the investigation of JFK’s murder. The Warren Commission members (who swore to uphold the truth – the whole truth) appointed by President Lyndon B. Johnson only a week after the assassination of JFK was appointed the task of investigating Kennedy’s assassination. Approximately 10 months later the commission presented its finds that Lee Harvey Oswald acted alone as did Jack Ruby (Rubenstein) who within approximate 48 hours of Oswald’s arrest shot and killed the alleged assassin at point blank range in the Dallas Police Station, as police officers were in the process of transferring Oswald to a local prison. 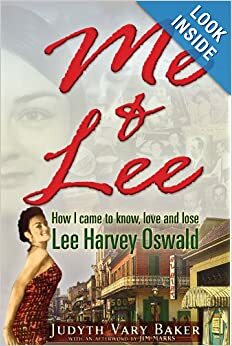 Judyth Vary Baker reports in her book, Me & Lee about her love affair with Oswald the summer of 1963. She gives fascinating detail about his political views, his work for the US government, his character and personality and his knowledge about the plots to assassinate Cuban Dictator Fidel Castro and US President John F. Kennedy. If Vary Baker can be trusted, it means only one thing: the Warren Commission 800+ page report isn’t worth the paper it is written on. In the video series The Men Who Killed Kennedy there is made mention of the numerous material witnesses who died under mysterious circumstances in the subsequent early years that followed the Kennedy assassination investigation. One of those witnesses was a nationally recognized cancer researcher named Dr. Mary Sherman. According to one of Dr. Sherman’s assistants, Judith Vary (Lee Harvey Oswald’s lover and author of Me and Lee), Dr. Sherman was working on developing an aggressive cancer virus that could be used as a biological weapon – in this case it is alleged that the weapon being developed was for the purpose of assassinating Cuban Dictator Fidel Castor. 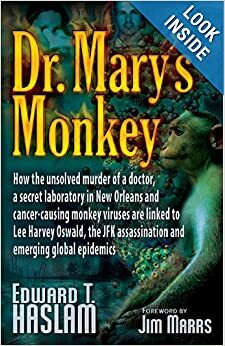 The sub-title of the book, Dr. Mary’s Monkey says it all: How the unsolved murder of a doctor, a secret laboratory in New Orleans, and cancer causing monkey viruses are linked to Lee Harvey Oswald, the JFK assassination and emerging global epidemics. These books and video series demonstrate that politics are not what the collective consciousness of the nation presumes it to be, that the collective consciousness of Americans is deliberately shaped by a steady diet of propaganda to form expedient opinions of political and economic reality, and that elected officials are often just pawns on the board of a secret chess game powered by a stealth shadow government. This 9 part series by Nigel Turner is “The Men Who Killed Kennedy.” Turner brings to light many eye witnesses including Lee Harvey Oswald’s lover who sheds an entirely new twist on the character of Oswald (the alleged lone gunman) and the work he was involved in for the US government. That fact in and of itself is a stunning revelation to most Americans. This is a 9 part series and each episode is about 50 minutes. It is well worth the time.